Laboratory for Telecommunications at Faculty of Electrical Engineering (LTFE) is a home to many projects related to rural development and addressing other issues in the field of contributing to a friendly living space for the future generations. 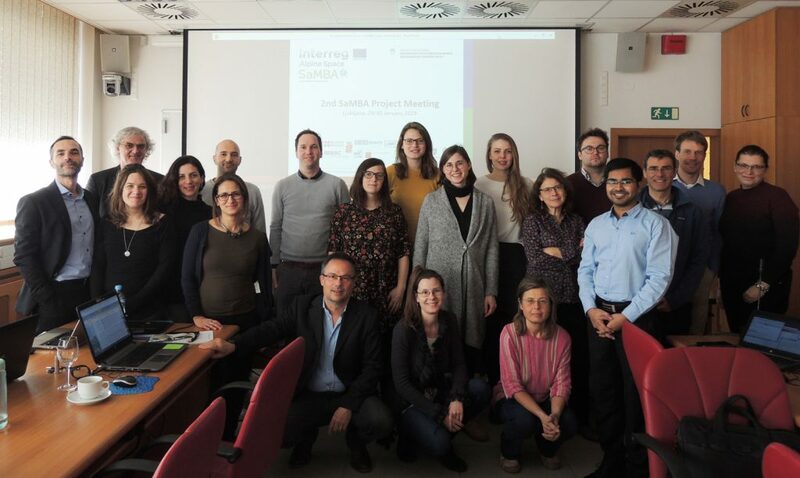 One of our currently running projects is SaMBA (co-financed by the European Regional Development Fund via Interreg Alpine Space), a project that fosters a collaboration of 13 partners from Austria, Germany, Italy, France, and Slovenia, and enables us to research different options for increasing sustainable mobility, that is to say mobility that will also be sustainable for our offspring. As a part of this project, we hosted project partners from the above mentioned countries at Faculty of Electrical Engineering on the 29 and 30 January. We all presented the progress in carrying out our assignments and outlined the activities awaiting us in the following months. 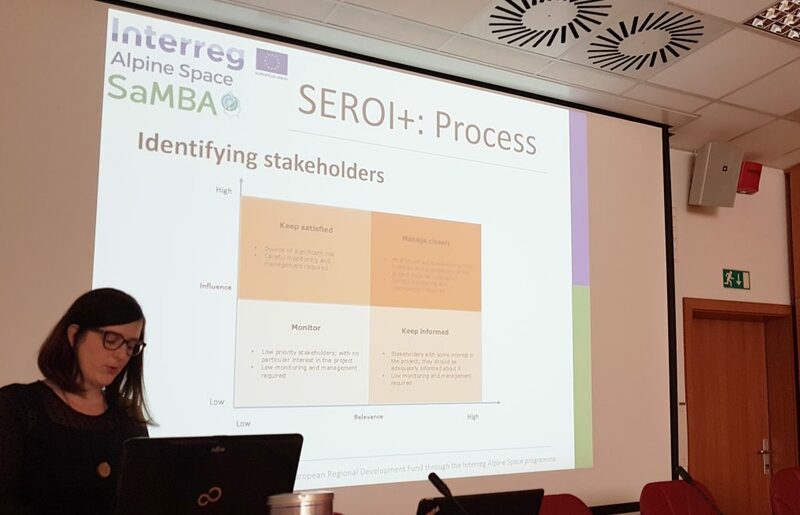 LTFE is a scientific partner in the project, namely, we’re developing a methodology and a digital tool SEROI+, which is designed to assess and measure the effects of different policies that address the issues concerning several stakeholders. The acronym SEROI indicates the calculation of »social, economic and environmental return on investment«, which means that the tool not only includes the economic effects of the changes – which are (too) often the only considered criteria – but also focuses on social and environmental effects of the planned measures – in SaMBA these are mostly measures, related to achieving sustainable mobility. In our two-day meeting, we also got to know two really interesting good practice examples in the field of sustainable mobility solutions. Toti Di Dio from PUSH Palermo demonstrated their MUV application, which aims to increase citizens’ awareness of the quality of the urban environment in order to promote the shift towards more sustainable mobility choices. Marko Zevnik from Sopotniki Institute, on the other hand, introduced us to an inspiring practice of on-call car rides for the elderly in the rural areas, which is triggering many positive effects for its users and the whole communities where it’s already in effect.